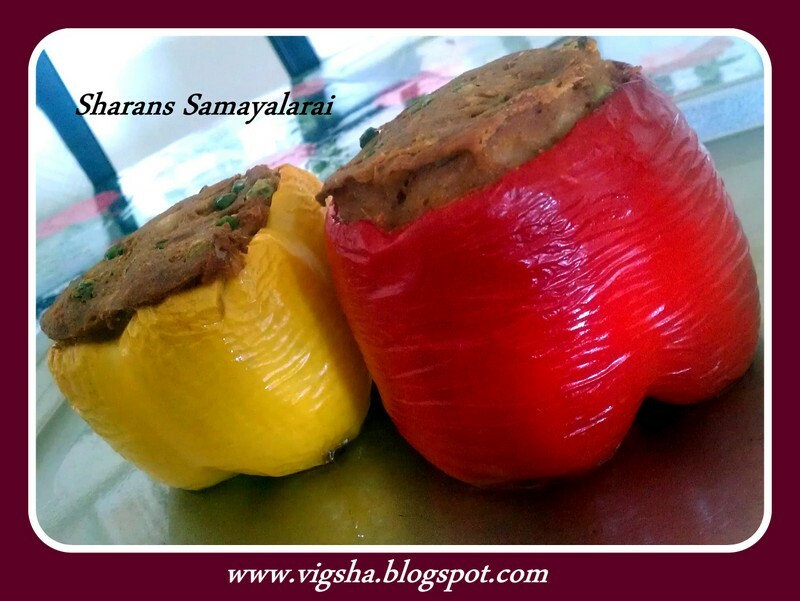 Grilled stuffed peppers are simply delicious, easy to cook, looks impressive and tastes incredible. 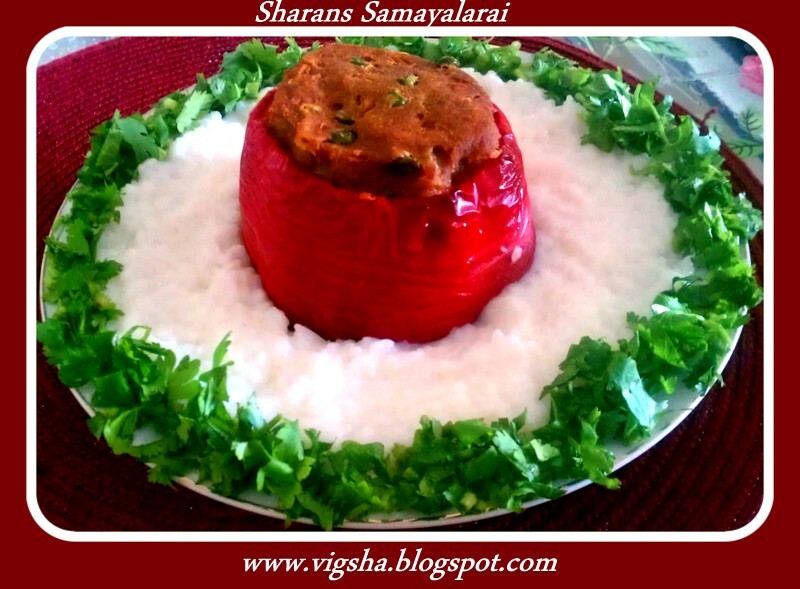 This is a popular dish that can be enjoyed as a side, a main or even an appetizer. 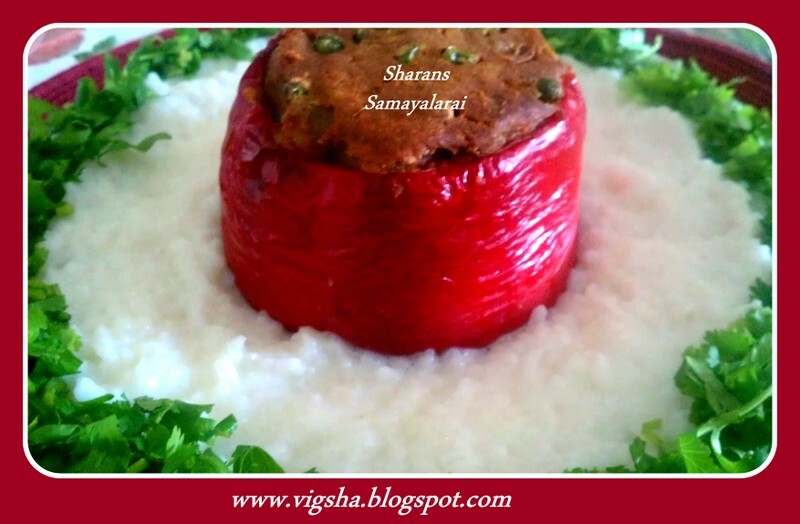 This is delicious veggie option for a super party. My husband who is a great meat lover was also impressed and enjoyed the pretty red shells that carried immense flavors. 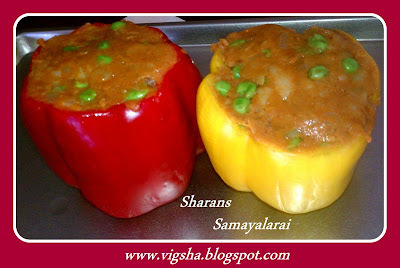 Capsicums stuffed with fresh Indian spices, veggies and baked with a dollop of butter, gives out delectable flavors. 1). Boil the potatoes and peas. Mash the potatoes and keep aside. Heat oil in a pan, add onions and fry till it turns golden brown. 2). Now add all spices, mashed potatoes and peas and fry for few moments. Keep it aside. 3). With a sharp knife, Slice off thinly from the stem of the peppers. Take out seeds and cores from the top to make them hollow. 4). Rub the peppers with olive oil, fill peppers with mixture and place on a baking tray. Add a dollop of butter on top. 5). 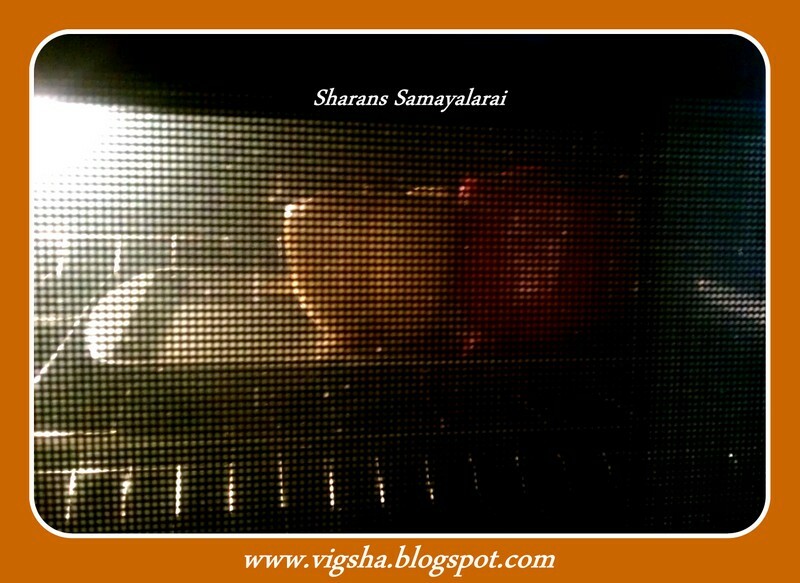 Place peppers on preheated oven at 375°. Bake until the shell of the bell pepper has started shrinking. This can be served as a Meal or Teatime Snack. 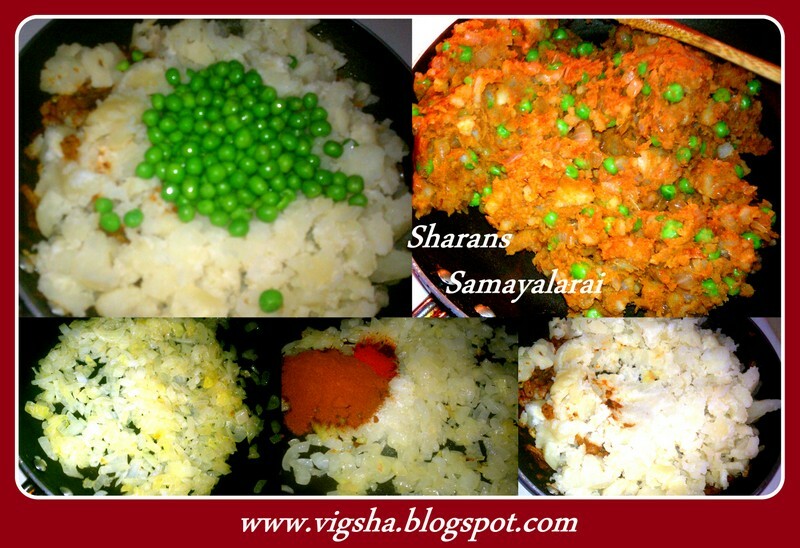 I served with plain curd rice. The potatoes and peas complement the capsicum well. # Slitting could be done in 2 ways - One by slicing from near the stalk . Second method is by slicing the pepper into 2 halves. 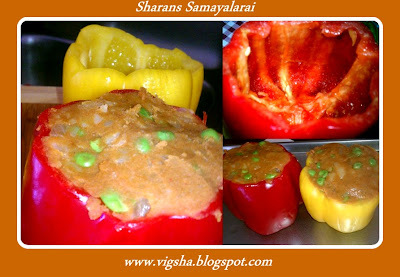 # You can also use these stuffed capsicums in coconut or tomato based gravies. 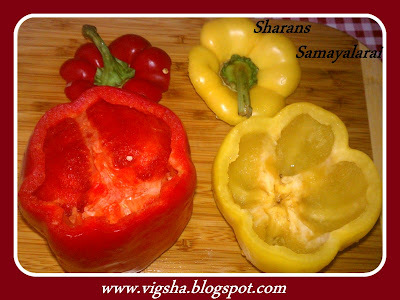 # If you are using big capsicum,cut it vertically into half (2 portions) and can also make the same way. 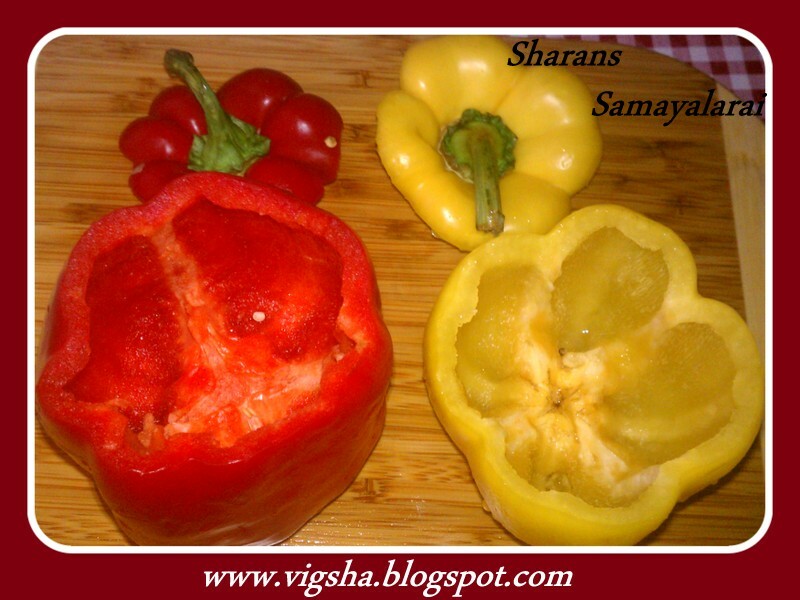 # If u don't have Oven, you can shallow fry the peppers with closed ends or steam cook. # Green will have a more pronounced pepper flavor. The red and yellow (or you could use orange also) are milder and sweeter. Me too prepared stuffed capsicum frequently. Yours also very nice. I know it comes out delicious and fabulous. 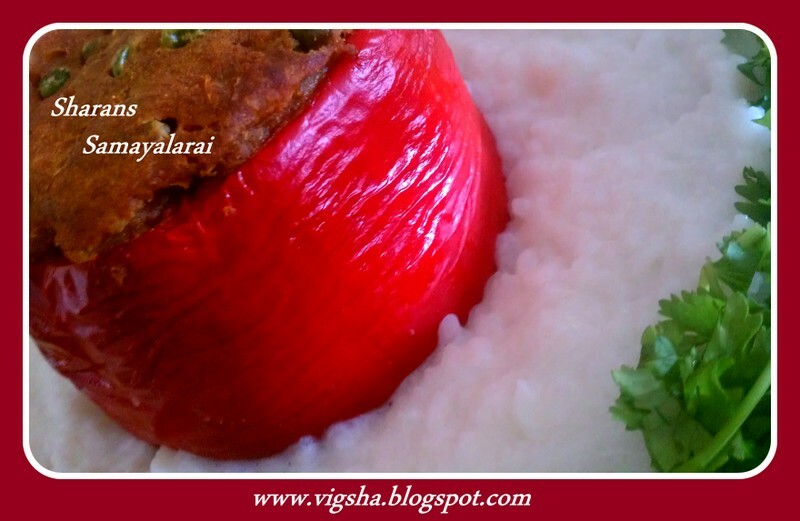 i always like stuffed capsicums..
Bell peppers stuffed with potato are so delicious..love them. Love stuffed peppers,great appetizer,thanks for sharing. Different with pepper. Looks delicious. Never said no to stuffed peppers,love it. These look neat. And yes, even a meat eater would like it. Wow! These look amazing !